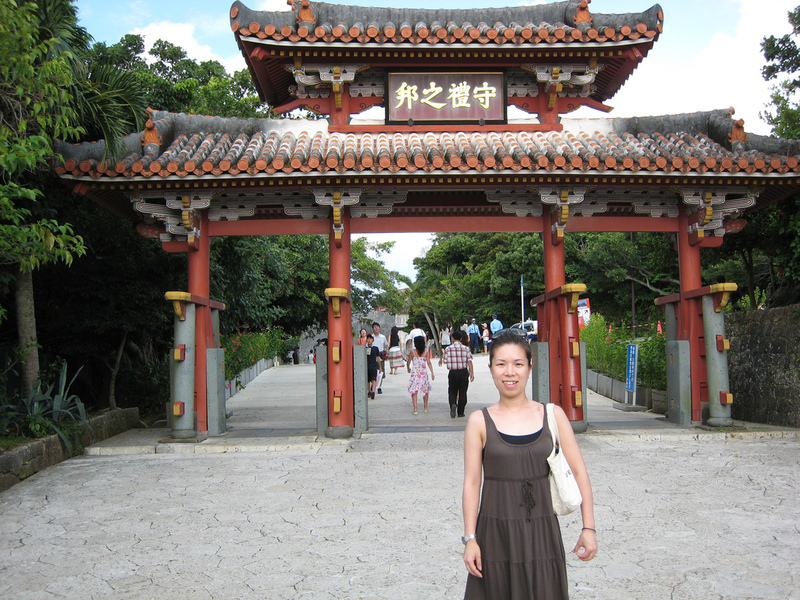 Shuri Castle is indispensable during a trip to Okinawa! Okinawa is known for her transparent beautiful sea. But the charm of Okinawa is not only the sea! There are other tourist attractions of Okinawa! Historic Shuri Castle is one of the famous tourist attractions. 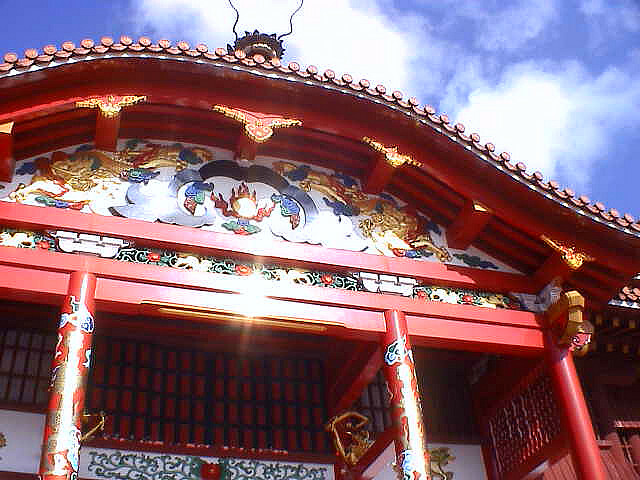 Shuri Castle is located in Shuri, Naha-shi, Okinawa. There was Shuri Castle in the hill country overlooking the Naha Port that was a base of the overseas trading. It was the castle of the scale the Okinawa prefecture’s greatest in the Imperial castle of the Ryukyu dynasty. The main temple of the castle was a national treasure before the war. However, it was completely destroyed during the Okinawa War of 1945 and postwar University of Ryukyu construction. A basic part of the castle wall and the building is left. A move to Nishihara-cho of University of Ryukyu of the early 1980s. The full-scale reconstruction is from the end of 1980s. In 1992, it is restored to the original state in form to backfill the old remains of an ancient structure. In 1993, NHK drama became the stage of “the wind of Ryukyu”. In 1999, I win 100 selections of cityscapes. In December, 2000, it is enrolled in a world heritage. The restored building and castle wall are not world heritages. There are a lot of places where it was enrolled in a world heritage in the outskirts. 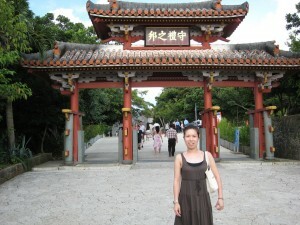 The Shuri Castle park is on the small hill of 120 meters – 130 meters above sea level. It is the hill which can look down at a town of Naha. The hill of Shuri is a sacred place-like person. I restored the figure of the Ryukyu kingdom era, and the Shuri Castle park was maintained. There are many a slope and stairs, stone pavement ways, too. On the occasion of visiting, I recommend that it comes with footwear comfortable to walk in. You will look at Shuri Castle, too! Ohiya: free water in restaurants?